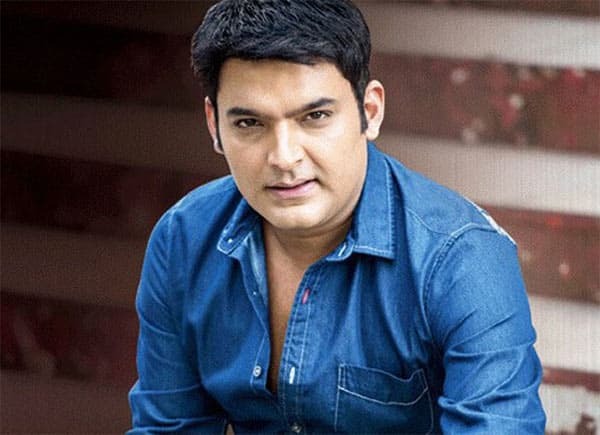 After a sabbatical of six months, actor and comedian, Kapil was back on the small screen with his comedy game show, Family Time with Kapil Sharma. Last year, he got involved in loads of controversies, and this year is nothing less. Just before the actor’s show went on air, he got involved in a Twitter battle with his once close friend, Sunil Grover. Fans want the duo to come together and star in a show and kept on asking Sunil whether he was joining Kapil’s show, like the others or not. When Sunil cleared the air and declared that he was not approached by Kapil, a fight ensued. However, it ended with Sunil wishing him luck for his upcoming show and declaring his own show. Kapil’s list of controversies don’t end here. His show did not get a good response on Twitter but fared decently on the TRP charts. Moreover, he soon started making headlines for hurling abuses on an editor. When Bollywood superstar, Salman Khan got arrested in the blackbuck poaching case, the comedian abused a media house for their news coverage. While many have come forward in support of the comedian, he has filed a complaint against his ex-colleague Preeti and Neeti Simoes for extortion and harassment. Everyone is now eagerly waiting for Kapil’s recovery and looking forward to him making a comeback. This Yeh Hai Mohabbatein actress is known for her role of Simmi. While the actress has been in the glamour world for a long time, she was facing problems finding a flat in Mumbai. She took to Instagram to share her heart-wrenching story and wrote her fate was sealed as she was an MBA, a Muslim, actor and bachelor. However, after reading it, one progressive thinking man offered her a flat to live in on rent. The 16-year old actress is currently playing the lead in Tu Aashiqui opposite Ritvik Arora. While fans are crazy about this duo’s sparkling chemistry, the makers planned a kissing scene on the show. When they told her about the ******** scene, her mother lashed out against the makers as apparently she had clearly mentioned a no-kissing clause in her contract. She is only a minor and hence her mother had a huge tiff with the makers. Rumour mills were abuzz about her replacement. However, soon she cleared the air and the character of Pankti is being played by her only. 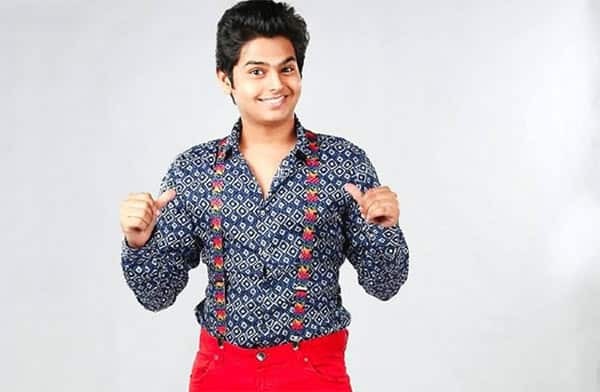 The comedian, who is famous for his Selfie Mausi act, went missing for four months. After a friend shared a post on social media about him missing, he surfaced and held a press conference where he spoke about his ordeal. He shared how his parents were giving him medicines for bipolar disorder, when he was suffering from something else. He further said how he got addicted to a substance and slowly got depressed. His stay at the rehabilitation centre was also not fruitful, as he was beaten up there. Apparently, the comedian faced a lot of harassment from her mother and her alleged boyfriend, Suyyash Gadgil. Finally, he found hope when he was with Asha Ki Kiran, an NGO that helps people suffering from substance abuse. 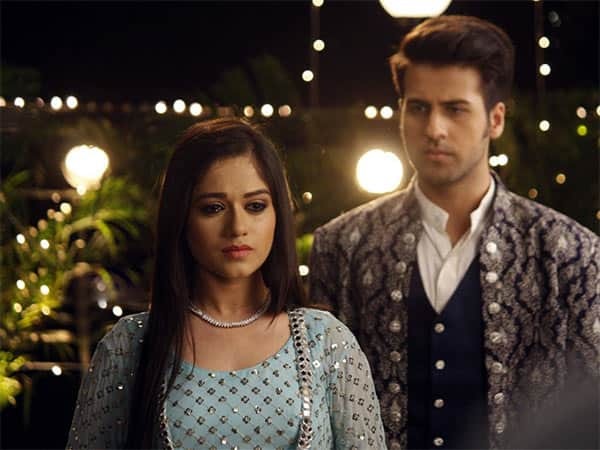 Zee TV’s Aisi Deewangi…Dekhi Nahi Kahi reached an abrupt end. While the show was grabbing attention for its unique concept and the sizzling chemistry of the duo, the leads, Jyoti Sharma and Pranav Misshra filed a complaint against the producers of the show to the Cine And TV Artistes Association as they were facing ‘inhuman treatment and working conditions’ on the sets of the TV show. Moreover, there were rumours that they would quit the show. While the leads took the legal way, the producers of the show also took legal action against them. The lead pair of the show Naamkarann have left people crazy with their sizzling onscreen chemistry. In an interview, while speaking about Aditi, Zain said, “She is a very inspiring and motivating co-star. Even when we rehearse our lines, she puts in commendable effort. If given a chance, I’d marry her.” While people love this onscreen jodi, this statement made a huge buzz as people started assuming things about their relationship. Soon Zain cleared all the rumours and denied any such relationship. He sounded little upset too. 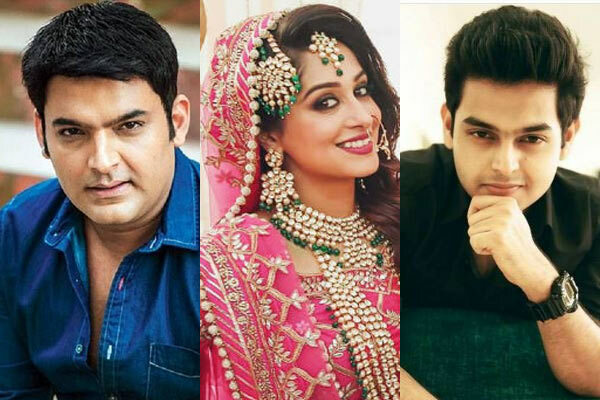 One of the cutest marriages of this quarter was that of Dipika Kakar and Shoaib Ibrahim. The couple tied the knot last month in a traditional marriage in Shoaib’s hometown in Maudaha. 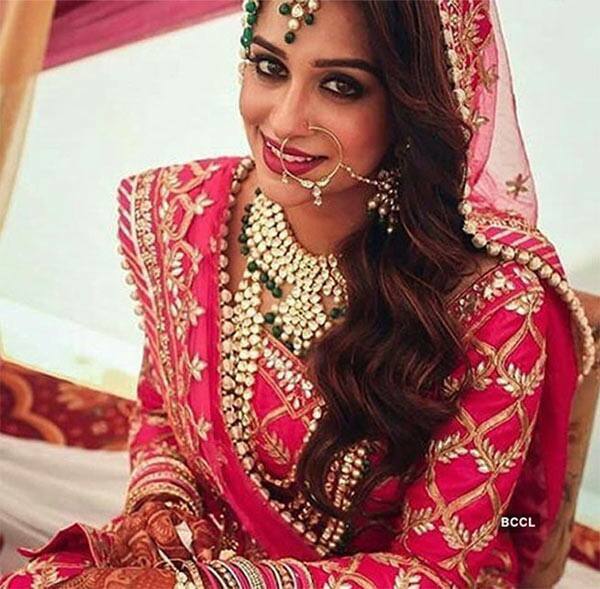 While people were gushing about the lovebirds tying the knot, many objected to the fact that Dipika converted to Islam. The news took the internet by a storm and she finally opened up about it. While some criticised her act, she declared how proud and happy she was about it. 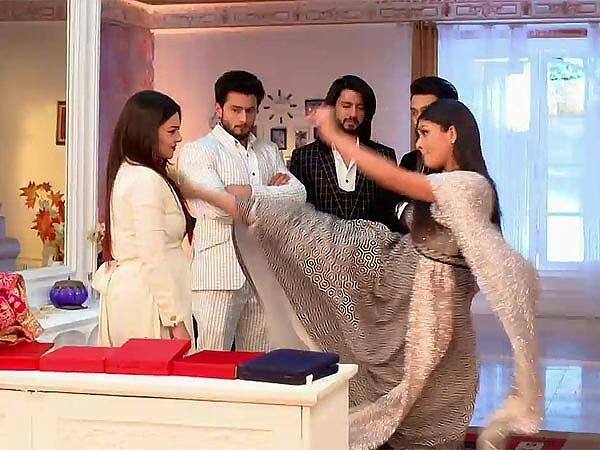 The telly actress plays the character of a cop in Star Plus’ popular show Ishqbaaaz. Recently, in a scene, she kicked Nehalaxmi Iyer onscreen, which was the demand of the script. While the act was a mere part of the show, people started talking about it saying it was derogatory to show such violence towards women. Mansi had no objection in doing so and she felt her character was well justified in doing so. On the other hand, Nehalaxmi found it trivial and said that it didn’t need such attention. The actress, who is soon going to make a comeback on the small screen with Ekta Kapoor’s Naagin 3, got involed in a legal case. An event manager from Delhi, Manas Katyal, slapped a legal notice on Karishma Tanna for cheating, threatening and blackmailing. 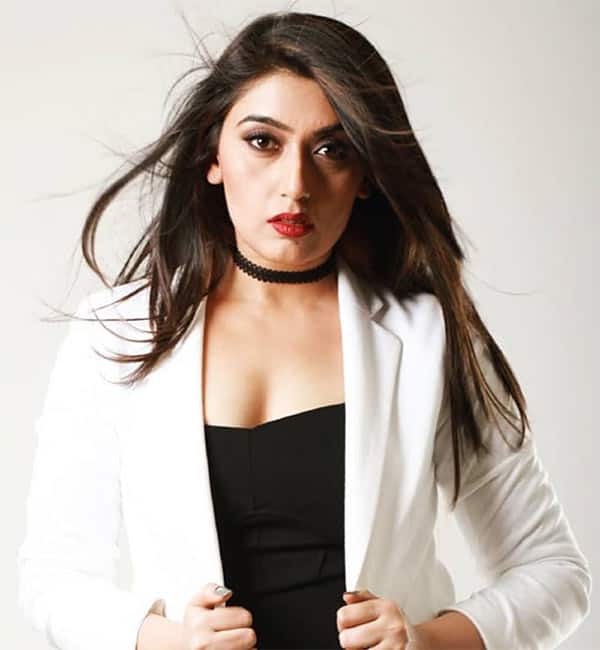 It turned out that the actress was supposed to perform at an event but she failed to make an appearance, causing the event manager a loss of nearly Rs 10 lakh. On the other hand, Karishma had a different story to tell and said that she faced a lot of harassment due to Manas and he should be paying her in return. What are your thoughts on this? Tell us in the comments below and stay hooked with us for more.